For the month of December, we are happy to offer discounted gift certificates. As the holidays approach, consider giving the gift of health to friends, family, or yourself. With the upcoming holidays, it is a wonderful time to spend extra time with our loved ones. It can also be a time of increased feelings of stress. Our bodies are wired to handle stress, but over time too much stress can start to have negative impacts on our bodies. The sympathetic nervous system which is responsible for our "fight or flight" response is activated during periods of stress. Our bodies can respond with dialed pupils, decreased digestion and increased heart rate. This response can also make us feel more anxious and irritated. Cortisol levels can also be released in greater amounts causing increased blood pressure and inflammation throughout the body and decreased immune support. Increased cortisol levels over time can result in anxiety, depression, poor sleep, poor digestion, and headaches. Various studies have shown that those who receive acupuncture have lower levels of stress. 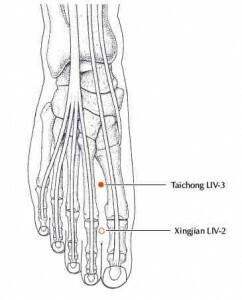 Chinese medicine focuses on creating a state of balance within the body. When stress occurs over long periods of time, it disrupts the body's ability to circulate energy freely causing an energetic traffic jam. Acupuncture increases blood flow and oxygen through the tissues allowing excess cortisol to exit the body as well as release endorphins which help reduce pain. Treatments activate the parasympathetic nervous system which results in lower blood pressure, decreased heart rate, deeper sleep, and decreased inflammation. Acupressure - There are two pressure points that are very effective to help sooth your nervous system. Yintang in located between your eyebrows and is located directly over your pituitary glad. Liver 3 is one of the best points to press on during stress. Doing so helps the liver qi move smoothly throughout the body. Exercise - regular exercise ranging from yoga to swimming is a wonderful way to manage stress. Lemons - According to Chinese Medicine, lemons are a natural way to move qi through out the body. Add lemons to your water, tea, and food whenever possible. Vitamin B - Consider adding a vitamin B complex. This nutrient is depleted during excess periods of stress. If you are interested in learning how acupuncture can support you, call 206-414-9590 today or book online to make an appointment.